ZEPHYROS the power group for thirty years has made a great reputation of supplying an excellent variety of Greek and American music. ZEPHYROS reached national acclaim in 1991 when they performed at the National AHEPA Convention hosted in Nassau, Bahamas. With a style and sound seemingly ahead of their time, their creativity has kept ZEPHYROS as one of the top bands in the United States and has influenced other groups over the years. 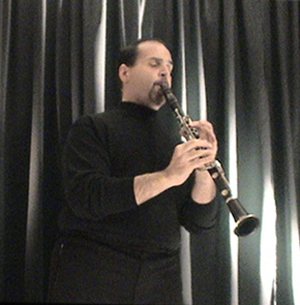 ZEPHYROS has played for National Conventions and functions across the United States and Bahamas such as: AHEPA Conventions, YAL Conventions, festivals, concerts, dances and weddings. ZEPHYROS has even performed with some of the top singers from Greece such as ANTYPAS at the TAJ MAHAL in Atlantic City, N.J. and with Kalomira in 2016, KALOMIRA. These events among others have helped ZEPHYROS achieve national acclaim as a premier successful Greek and American band. Bouzouki Yianni Barlas Yianni is an exceptional bouzouki player who was the last student of the Master .... Tatasopoulos. 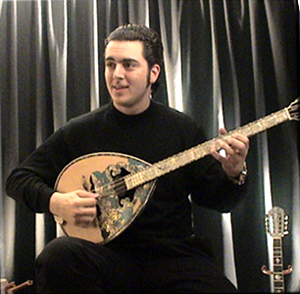 Taught from the age of seven, he has become the most requested bouzouki player on the east coast. 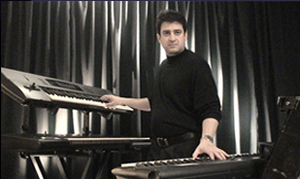 Keyboards Peter Bisbikis Pete was first introduced to music from age six, influenced by his father, Gus Bisbikis, who played guitar with the renowned DELPHIANS ORCHESTRIA. Pete studied organ under private tutor from age eight and by age twelve Pete was playing along with his father greek and american music. Currently, Pete is the organist for his parish, St Nicholas Church. Guitar Stavros Blicas Stavros, a native of Greece, first discovered the guitar on the streets of Athens. The street musicians inspired him with a love of his country’s rich musical heritage. At the age of 11 he got his first guitar and started learning from the Athenians. When he moved to the United States at the age of 14, he expanded his repertoire to include such native American music as Blues, Rock and Funk. 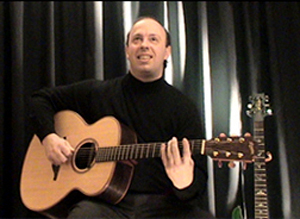 He studied musical theory in college, and expanded his range of abilities to include the electric guitar, the classical guitar, the bouzouki, and the bass. He has played in several rock and blues bands over the years in and around Baltimore, a hotbed of live music. With this experience, Stavros provides the foundation for Zephyros’ American Music play list at weddings, parties and other private events. 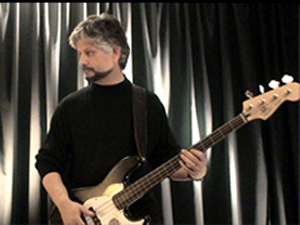 Bass Guitar & Percussion Emmanuel Matsos< FONT> The "Maestro" of Zephyros was originally a drummer performing at the Greek Clubs in Washington DC and Baltimore. He also played with and was a favorite of Manolis Angelopoulos when he toured America. Now,as the bass guitarist, he has added his no-nonsense, heavy, new-age percussion. This highly successful combination has been the driving force behind the very talented musicians of Zephyros. Through his audio and video recording studio, he has engineered all of the Zephyros CDs and Antenna's first Greek band commercial in America. Lead Vocals (American Music) Robin Robison Robin has been singing in the music industry professionally for over 28 years starting with a local band "Hatrick". She first started singing rock & roll and the blues before moving to Florida and performing with various bands there. Upon her return to Maryland sixteen years ago, she united with Zephyros and has been with them since. Past performances include public television, the Taj Mahal in Atlantic City, the Philadelphia Memorial Hall and the Annual Northrup Grumman & Kennedy Kreiger BWI "Down Syndrome Walk/Run". In her spare time, when not performing with Zephyros, she sits in with various local bands and solo guitarists performing in restaurants, outside events, private get togethers and fundraisers. Recently she sang the National Anthem at the "Washington Metropolitan CACI" event. Music is in her blood, her father Robie Robison played with the Charlie Daniels Band, has performed and recorded with Lloyd Price on his hit record "Personality", and as well as playing with other successful recording artists. Robin said that this was very educational as she learned all types of music. She says that this "allows me to be original when performing cover tunes and writing my own music."